In the professional ranks Gabriel went on to play 16 seasons in the NFL, splitting time with the Los Angeles Rams (1962-72) and the Philadelphia Eagles (1973-77). 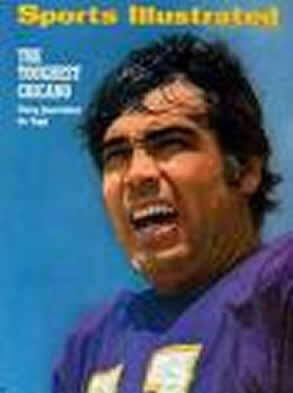 He was named the NFL Most Valuable Player Award in 1969 and earned Pro Bowl spots in 1967, 1968, 1969, and 1973. 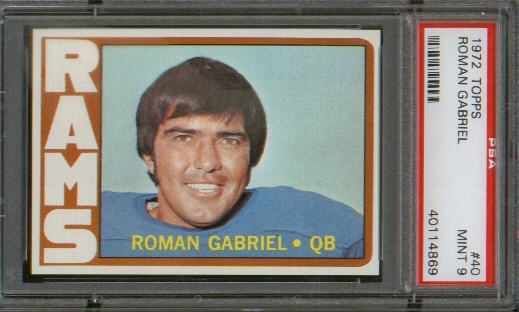 He ranked as the Rams' all-time passing leader with 22,223 yards and 154 touchdowns (1,705 com./3,313 att.) and threw for 7,221 yards and 45 touchdowns (661 com./1,185 att.) with the Eagles. 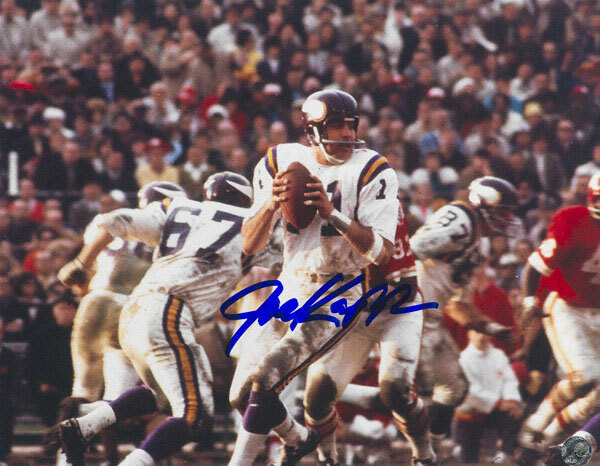 In 1973 he led the NFL with 3,219 yards and 23 touchdown passes, for which he was awarded the NFL Comeback Player of the Year Award. 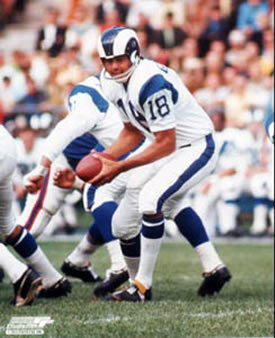 He still holds the Rams' career records for touchdown passes (154), passing yards (22,223), passes attempted (3,313), and passes completed 1,705. 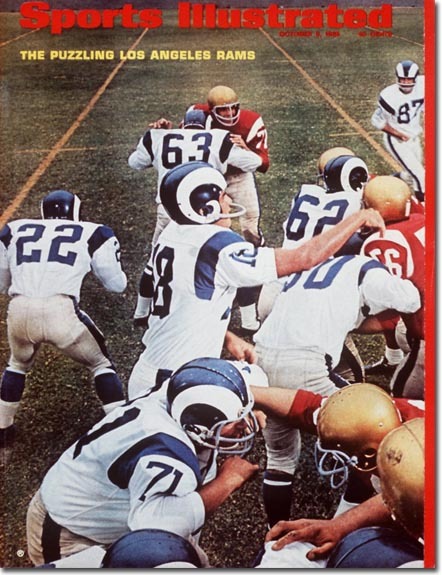 Gabriel wore the number 18 with the Rams and the number 5 with the Eagles. FOR THE FANS AND THE LOVE OF IT!! 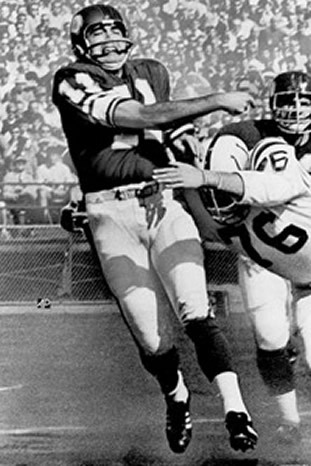 "Kapp started an anti-trust lawsuit vs. the NFL claiming the standard NFL contract was unconstitutional and a restraint of trade. He won the Summary Judgment after four years. 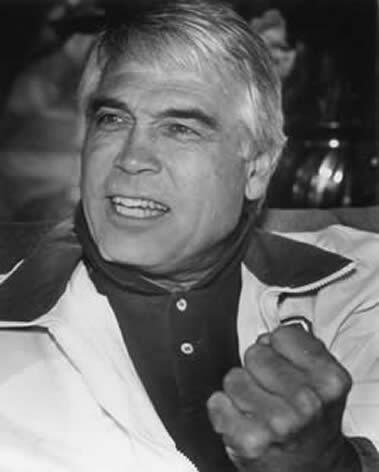 The court had ruled that Joe Kapp’s trade was indeed restrained. It was two years later (April 1, 1976) in the trial for damages, that the jury decided that Kapp was not damaged.